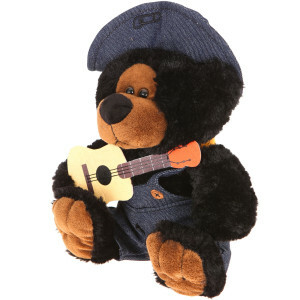 A part of the country series, this 10" plush Hillbilly honey black bear is dressed to suit its theme. 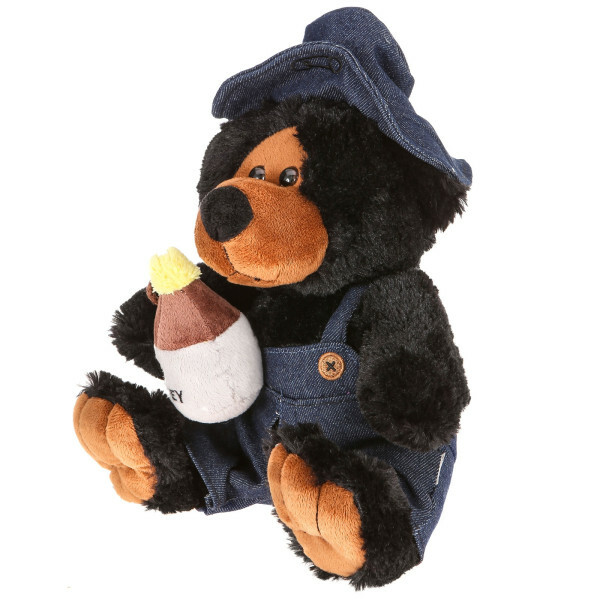 With a cute hat, long overalls, and a pot of honey, the amount of detail invested into this bear is incredible. 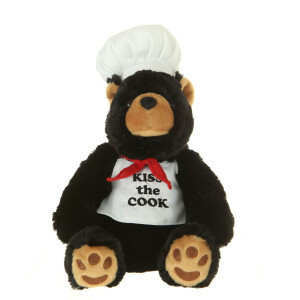 It sits upright, gazing into the distance, a smile on its face. 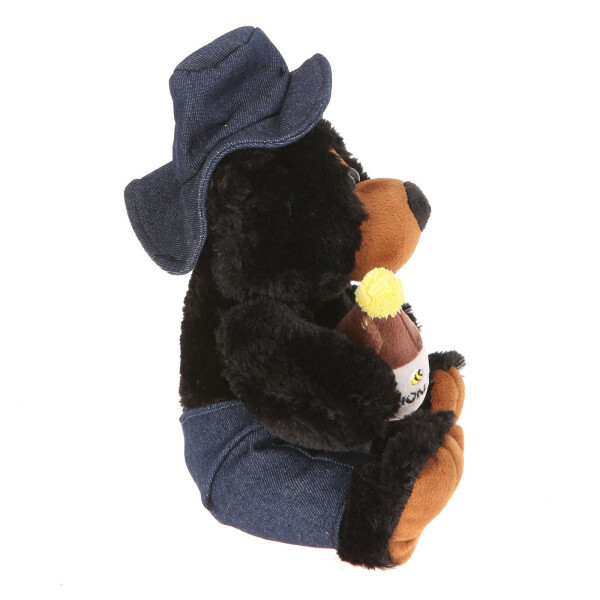 To fit the country theme presented, the 10" plush Hillbilly honey black bear is dressed in suitable clothes. 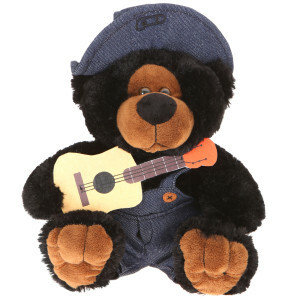 It sits in an upward position, its legs splayed off to the side. 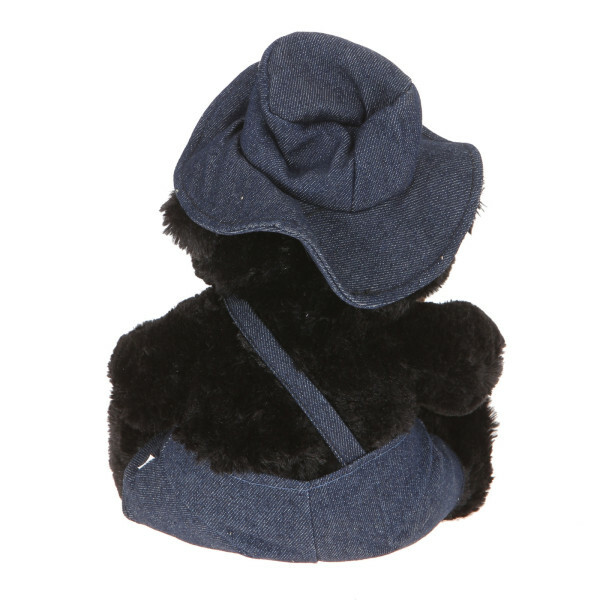 The fabric is super soft, a contrast to the rougher denim-like fabric of the clothes. 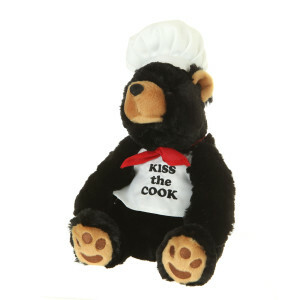 It is perfect for gift shops in the country or those with a themed store. 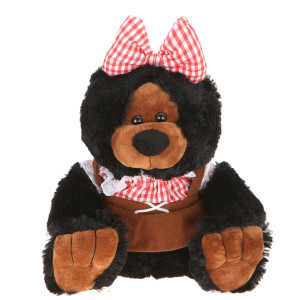 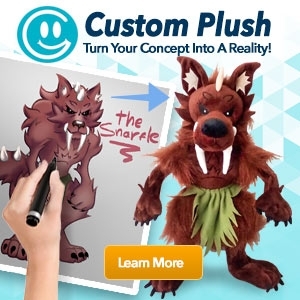 One look from this Giftable World® plush, and you will be teleported to the mountains.